Why we love it: Stop the itch and control dandruff with this botanically-based 2-in-1 shampoo and conditioner. Natural Sage and Zinc regulate the scalp, maintaining equilibrium of oils and dissolving the itch and flakes caused by cold weather and over-drying products. A wheat protein based conditioner infuses the hair with shine and hydration. Massage into wet hair and scalp. Rinse well. Cruelty free. Contains no animal products. 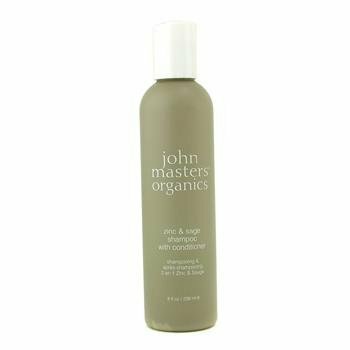 John Masters Organics follows the USDA certified-organic food standards. These standards are the strictest in the world.